Wiring Solutions (also referred to as the Company hereafter) takes the privacy of our customers seriously; as such we do not share, sell, or publish personal information in any form. As we do not contract installation services, billing, customer service, or any aspect of our business to a third party, you are assured account information is maintained to the strictest standards. Customer account information is secured to HIPAA standards in a controlled, limited access environment within our company owned, secure facility. The exception to this would be the use of our Attorney Firm that we retain for legal matters, as well as the third party collection agency we use for accounts in default. In these cases, limited information, as it pertains to the matter at hand, will be shared with these entities as they have entered into confidentiality agreements with Wiring Solutions. To enhance your security Wiring Solutions does not maintain customer alarm codes or information that could be used to remotely disable any alarm system. The limited information we collect as specific to your account is solely for the purposes of billing and account verification. The information we do maintain is stored on our internal network and not visible to the Internet. This helps to assure your information cannot be accessed outside of the secure company servers. These computers have security measures (hardware and software) in place to protect against the loss, misuse, and alteration of the information under Company’s control. Notwithstanding such measures, we cannot ensure that all of your private communications and other personally identifiable information will never be disclosed in ways not otherwise described in this Privacy Agreement. By way of example (without limiting the foregoing), we may be forced to disclose information to the Government, Law Enforcement Agencies, or other third parties under certain circumstances. Additionally someone may unlawfully intercept or access transmissions or private communications, or otherwise abuse or misuse your information. While every effort is made to eliminate this threat, Wiring Solutions and its Affiliates shall not be held liable for such misuse or access. Wiring Solutions collects personal information from individuals and business entities when they voluntarily complete a Company form or a registration page, either online or offline, or by means of online or offline forms or registration pages (collectively, a “Form”). (As used herein, “online” means using the Internet, Intranet, and related technologies, and “offline” means by methods other than online, including in person, in the postal mail, using telephones, and other similar means.) In the Forms, the Company may ask an individual to provide various information to the Company, which may include, but not be limited to, his or her Name, City, State, Address, Zip Code, Work Phone, Home Phone, House Type, Credit Rating, Best Time to Call, Email Address and such other information as may requested from time to time (together, “Form Information”). The Company may also collect information such as what browser you are using, when you submitted your information and your Internet Protocol (“IP”) address. Completing a Form is completely voluntary, and individuals are under no obligation to provide Form Information to the Company. We will never solicit your information in a door-to-door scenario. Anyone appearing on your doorstep requesting personal information should be considered suspect. Wiring Solutions does not currently take part in marketing surveys or mass-mailings offering pre-approved offers. Please contact our offices immediately if anyone contacts you in this way claiming to represent Wiring Solutions. All Wiring Solutions representatives will carry a photo identification badge. You may verify the authenticity of anyone claiming to be a Wiring Solutions employee by calling our offices at 405-476-9473. Additionally, employees of Wiring Solutions have undergone background information checks and have their information on file with the OSBI and the Oklahoma State Department of Health Alarm and Locksmith Division (our regulating entity). Wiring Solutions may collect nonpublic personal information from individuals and businesses in order to offer its services and services of affiliates. By submitting any Company Form or request for information, individuals and entities consent to the disclosure of their nonpublic personal information to these entities. The Company and its affiliates may contact you by telephone even if your number is currently listed on a State or Federal do not call registry, or e-mail directly after they receive your nonpublic personal information. Wiring Solutions may also use information collected through our web site for research regarding the effectiveness of the web site and Company’s marketing and advertising efforts. Wiring Solutions currently does not, but may in the future; receive information about individuals or businesses from third parties or from other sources of information outside of the Company including information located in public databases (“Outside Information”). Wiring Solutions will never knowingly collect any personal information about children under the age of 13. If the Company obtains actual knowledge that it has collected personal information about a child under the age of 13, that information will be immediately deleted from our database. Because it does not collect such information, the Company has no such information to use or to disclose. 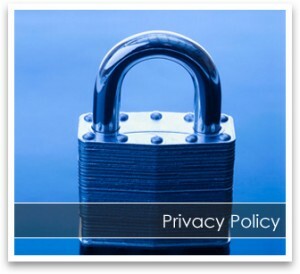 The Company has designed this policy in order to fully comply with the Children’s Online Privacy Protection Act (“COPPA”).